The Flat season really goes into overdrive this weekend with Newmarket hosting the first two classics of the season – Saturday’s 2,000 Guineas and Sunday’s fillies equivalent – the 1,000 Guineas. While there is decent racing elsewhere there’s nothing that entices me too much for betting purposes so this blog will be focussing on the action at ‘Headquarters’. In particular for each way punters note the firms who give an extra place and offer ¼ odds 1234…its worth its weight in gold as long as the win odds aren’t paltry in comparison. Gleneagles heads the betting at no more than 3/1 and is part of a double pronged Aidan O’Brien attack with Ol Man River (about double those odds). The former is the sort who just seems to do enough in his races – and therefore it’s hard to judge just how much he does have in reserve. With Ryan Moore seemingly having stable first choice now I have to favour him over his stablemate, who may be a better type later in the season over slightly further. Estidhkaar is next in the list and already a recommended bet on this blog Ante Post after his Greenham trial when a close second in a very quick time. He was 14/1 then and no more than 8/1 now. He returned injured from his one poor run last season and really looks like a horse who needs this mile trip. He had Ivawood 4 lengths behind him at Newbury and the latter’s jockey Richard Hughes has made some claims this week that his mount can improve enough to reverse those placings. This would seem to rely on Estidhkaar not having improved but I’ve little doubt he will. More of a concern for Ivawood supporters would be stamina – his sire (although bred to stay further) was a sprinter and I fell that 6 furlongs rather than a mile is where Ivawood’s future beckons. It should be remembered that although from the same stable, Hughes would never have had the option to ride Estidhkaar as Sheikh Hamdan has his own contracted jockeys. 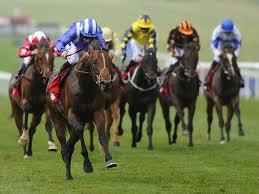 Sheikh Hamdan Al Maktoum also owns the supplemented Intilaaq – highly impressive in his one race on tha same Newbury card. It’s hard to know what he beat there but he routed them all. The time was good but didn’t match the splits of the Greenham in any way. 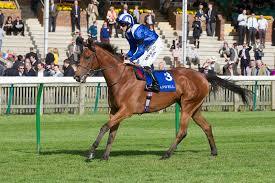 Paul Hanagan would have had the pick but he has chosen Estidhkaar. Elm Park comes here with similar credentials to Kingston Hill last season having looked the best 2yo around when stamina was really at a premium in the Racing Post Trophy. As previously suggested he may not run if the ground remains quick and I think will find others to outspeed him if he does turn up. The Derby appears his main aim this season in any case. At Doncaster he looked to have a race on his hands for a while with Celestial Path until that one couldn’t go with him in the soft ground. It had already been suggested that Celestial Path would have a problem with conditions underfoot and he is now likely to be back to a surface that suits. He’s very closely related to the Group winning fillies Chachamaidee and J Wonder and a quick look through their form shows them to have a big need for Good or Good to Firm conditions. Sir Mark Prescott for once won’t be having a handicap coup in mind here and I think we can expect him to be ready despite no run so far this season. He appeals as a good outsider to keep on side. 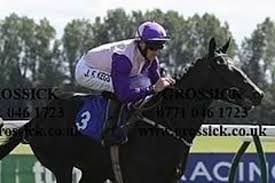 Lastly I have to give a mention to a favourite of mine, Glenalmond at 66/1. I really liked his chances in his debut in the Free Handicap but like so many of Karl Burke’s runners this season he appeared to need his first race. He is 5lb better off for a 4 length beating by Home of the Brave on that run which should make things much closer. I do think Home of the Brave was a lot sharper that time and that he may be the less well suited to this 1 mile trip. I do have a slight reservation about the ground being on the quick side for Glenalmond but in essence feel that he should be about the same price as his conqueror. There is no better Guineas jockey around than Kieran Fallon and he seemed very positive about the colt on Twitter yesterday after riding him out on the Middleham gallops. There may be some heart ruling the head here as I was tickling away at his odds of 1000 before and after the Free Handicap run. Suffice to say that if Fallon does get his 10th Guineas win the blog may be quiet for some time! Top Tug may well be an improver this season but this is his seasonal debut and his best piece of form comes on softer ground. He also may need a further. I don’t think he merits being favourite for this race. The two top weights Bronze Angel and Educate couldn’t have better C&D form having been the last two winners of the Cambridgeshire. It’s Educate who appeals by far the most on these terms. He’s back to the same mark he won that top handicap from and – he is fit and ran well in a Group 3 event last time. Stepper Point is an old friend of mine but his Group winning penalty may find him out here on a course that I think is just a little too stiff for him. Watchable is early fav but has never competed at this trip before – there’s a world of difference between showing pace at 6 furlongs and competing with real speedballs at 5 furlongs. I don’t think there is that much between the two outsiders Second Step and Odeon on form but as one is around 6/1 and the other 33/1+ I am drawn to a tickle on the big outsider here. 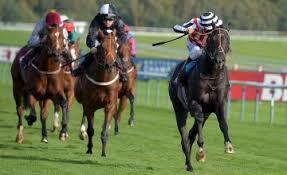 Last season Odeon showed definite ability but often ruined his chances by pulling far too hard. Often a tricky race and it can produce surprise results – for the fillies more so than the colts this race may be run too early in the season before they come to hand. There have been some shocks in recent years . Homecoming Queen 25/1 in 2012 was a clear winner and showed little afterwards – in 2010 Jacqueline Quest was first past the post at 66/1 but subsequently disqualified (in possibly Newmarket’s worst ever showing of a draw bias in a Classic in recent years). Lucida is at the head of the betting and was a consistently good performer last year until her final start (possibly over the top then – or maybe soft ground was to blame?) She is closely matched with Fadhayyil (beaten a length here in the Rockfel) , Malabar and Osaila (also both a length to find on Curragh form. Qualify was further back in that Curragh race and seemingly held. I would think the winner would most likely comes from this group of 4 and Osaila has some edge in that she has had a run (and a winning one on this course) this season. Jim Bolger and Barry Hills the respective trainers of Lucida and Fadhayyil have both won this race before with seasonal debutantes (Finsceal Beo and Ghanaati) so they must still be greatly feared. Fadhayyil is the one I think could be the best of this quartet – she still looked very raw when beaten by Lucida and was the one who really stuck out as having the scope to progress most at 3. Like Ghanaati, it was always the plan of her trainer to have no prep for this and to come here after just a racecourse gallop. It’s a question of if she is fully tuned up and if she is I think she will take some beating. Redstart and Jellicle Ball were the 1-2 in the Fred Darling trial at Newbury and represent a completely different form line. Ralph Beckett does seem to train his fillies to be ready for that race and so it wouldn’t be a surprise to see Jellicle Ball improve past her here over an extra furlong. Local Time has carried all before her in Dubai already this year ( a similar warm up to last year’s 3rd Ihtimal). She hasn’t beaten anything of the standard that runs here though and her form on this course last season – while it was a win – looks a bit below what may be required here. Of the back up races in the card there are a few possible bets but all of them in some way are dependent on the degree of rain that falls overnight. 2.25 I’m a bit surprised to see Rizeena being chanced over a mile and on a course where she doesn’t always seem to show her best form. Fintry is the form pick but has never raced on a surface this quick. 3.0 A very competitive sprint handicap but am backing two here with firms who offer ¼ odds 1st 5. Gamesome has long been highly regarded by his trainer and I feel could prove better than a handicapper this term – his reappearance run in Group 3 company was highly encouraging. 4.50 No bet here but Forte is worth bearing in mind as her family is littered with an Oaks theme. She’s a half sister to Talent (winner of this race 2 years ago) and a descendant of Bireme, both Epsom winners – and her grand dam Yawl was favourite for the same race. I won’t bet on here here as the ground is a concern and there are some nice looking unexposed types in the field. 5.25 Last bet of the day here. There is little to separate Muqtaser and Lostock Hall on their form at the last meeting here but they are now best prices of 3/1 and 14/1 respectively. This makes little sense to me and I have to back the latter as Karl Burke’s runners have mostly seemed to need their initial runs this year. The lack of heavyt rain is a definite plus point in the selections favour here. A fairly bruising weekend with only Gamesome giving any returns (1.75 pts for a 5th place dead heat).